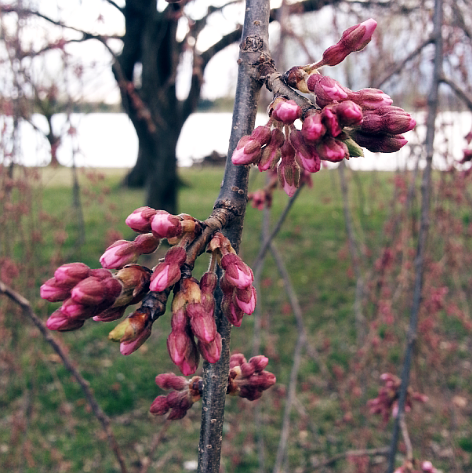 On March 20 of last year, the cherry blossoms peaked in Washington, D.C., and by this time of the month only the most stalwart of flowers clung to the trees. 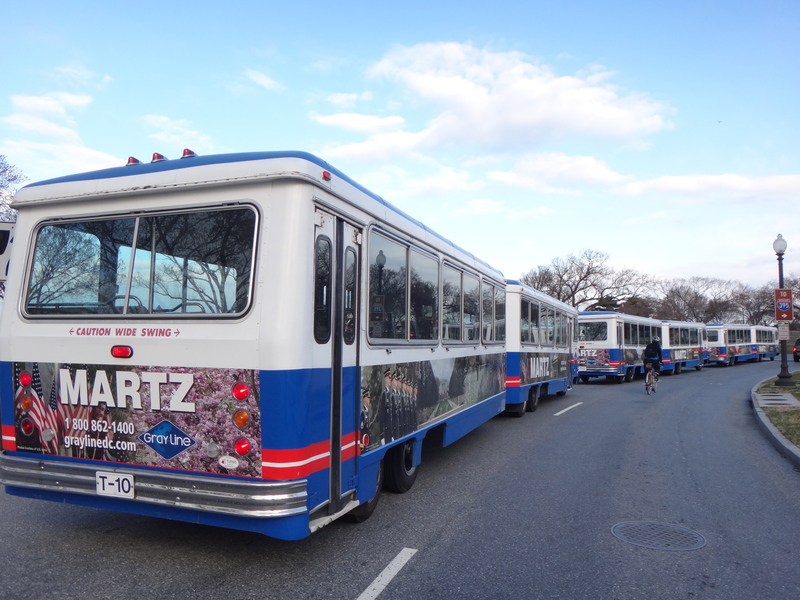 That is far from the case this time around, where the tourists have arrived in droves to appreciate the blossoms that have yet to cover the Tidal Basin and surrounding areas in their annual wave of pink. Time to pick up the tourists! 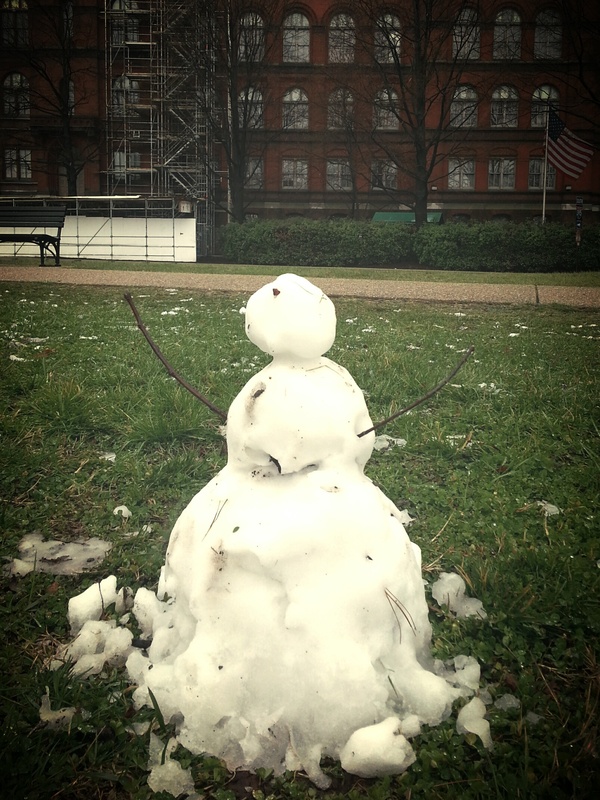 Monday we even had snow– not a lot, but enough to make a snowman. 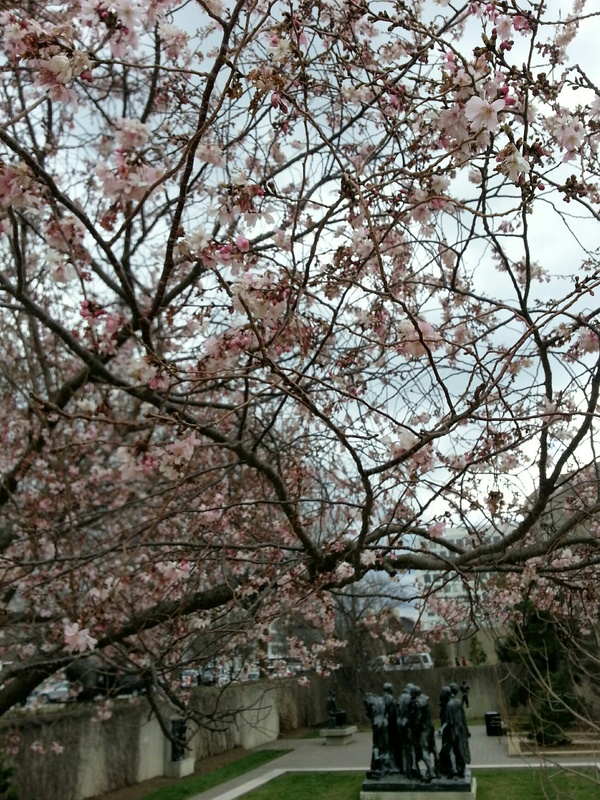 Felkerino and I began noticing buds on many of the cherry trees earlier this week. 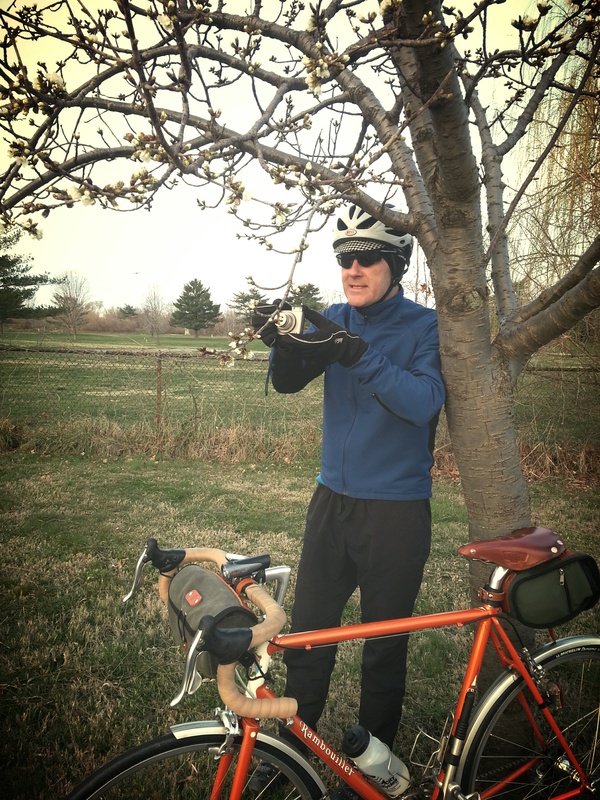 Since then we’ve been on “Blossomwatch,” where we ride around, scrutinize the trees, and guess when they will flower. 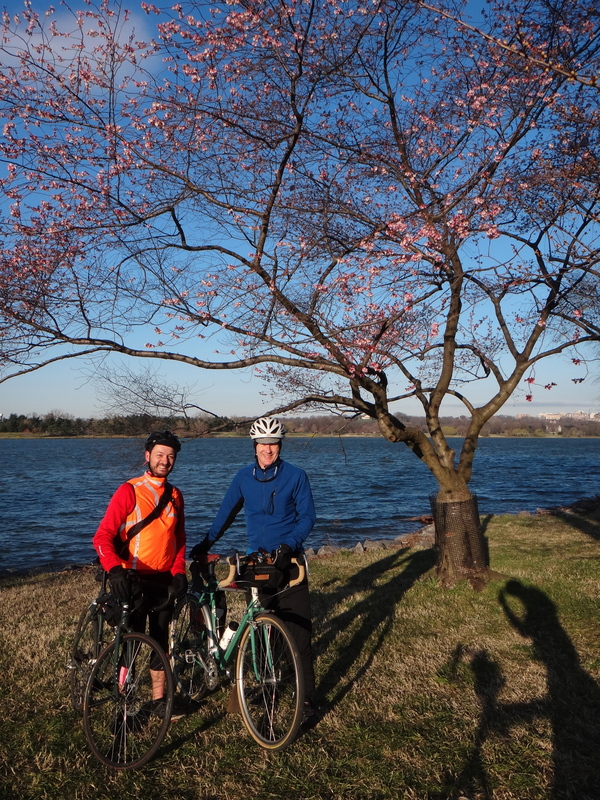 We’ve chosen times where the tourists are less likely to be out and have even met up with some BikeDC friends the last two mornings to enjoy the pre-work quiet of Hains Point, where cherry trees align both sides of the street. 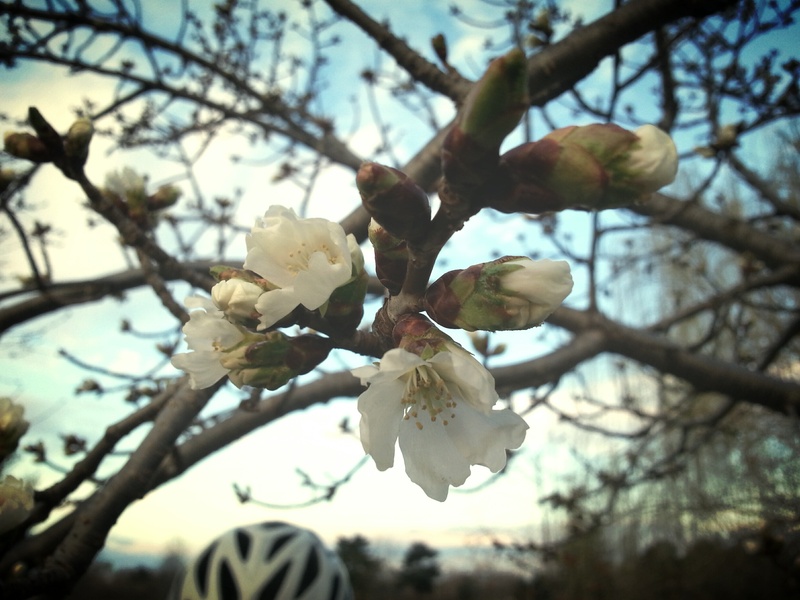 When those blossoms pop, they will be a sensory delight to ride through. I love the time between the appearance of buds to full-on flowers. It’s a little mystery. When will they pop? Will it be overnight? Could it happen during my workday? You never know quite when a sea of pink will greet you. Rodin amid the cherry blossoms = cheesy! A few flowers have broken through, and just like the tourists do, we stop to take cheesy tourist blossom photos. It’s fun to do touristy things sometimes. Trying for the perfect blossom shot. 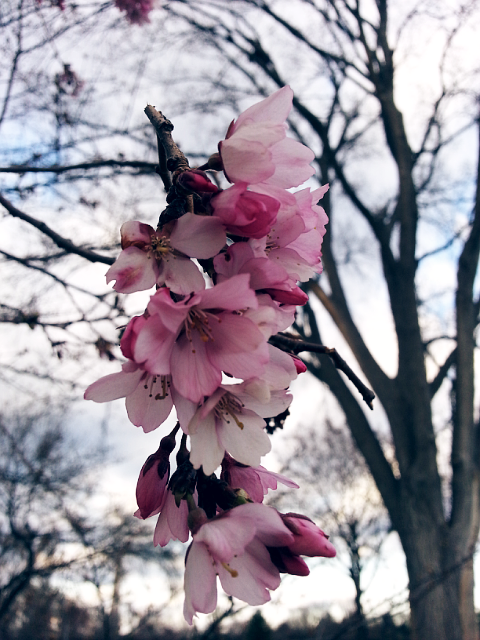 I’ve seen the cherry blossoms each year since I moved to the city, and I never tire of watching their fluffy blooms make their brief stay, until the wind or rain prompts them to fall and they are washed away until next year. The National Park Service predicts peak blossoms April 3-6. In the meantime, I will not be on the sidelines. I’m on Blossomwatch! Blossomwatch! I have to admit, it’s exciting to guess when the blossoms will bloom! Thanks MG. I am not going to miss them after all! Oooh, I can just smell ’em! Can’t wait!! It’s definitely one of, if not THE most beautiful time of year in DC.